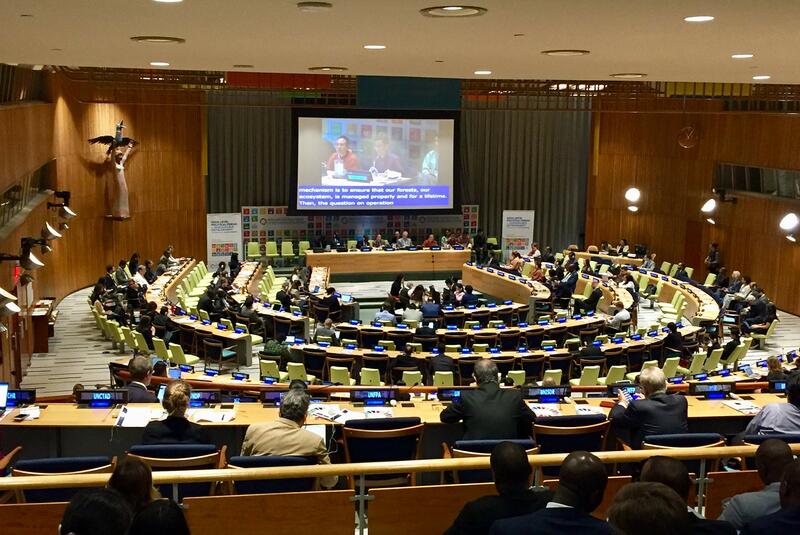 How can rural and urban areas become both resilient and self-sufficient societies? 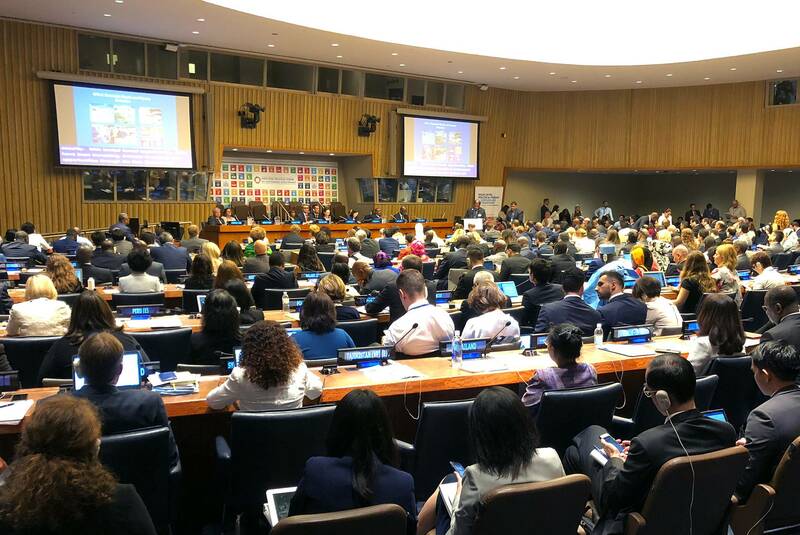 To respond to this incredibly urgent and important question for a Planet that is suffering greatly from the effects of climate change and other global and local socioeconomic challenges, the United Nations Economic and Social Council (UN/ECOSOC) holds the High Level Segment from July 16 to 19, in New York, United States. 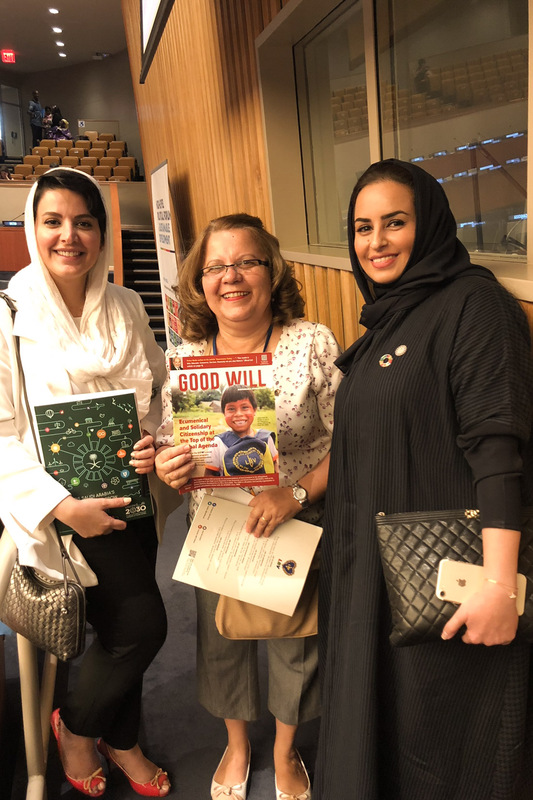 New York, USA ― United Nations staff. 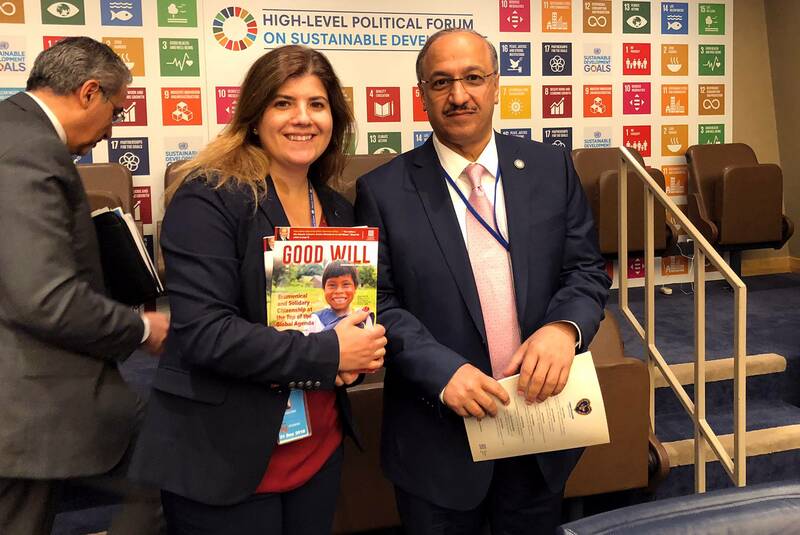 New York, USA ― Cynthia Chidiac, member of the Lebanese delegation. 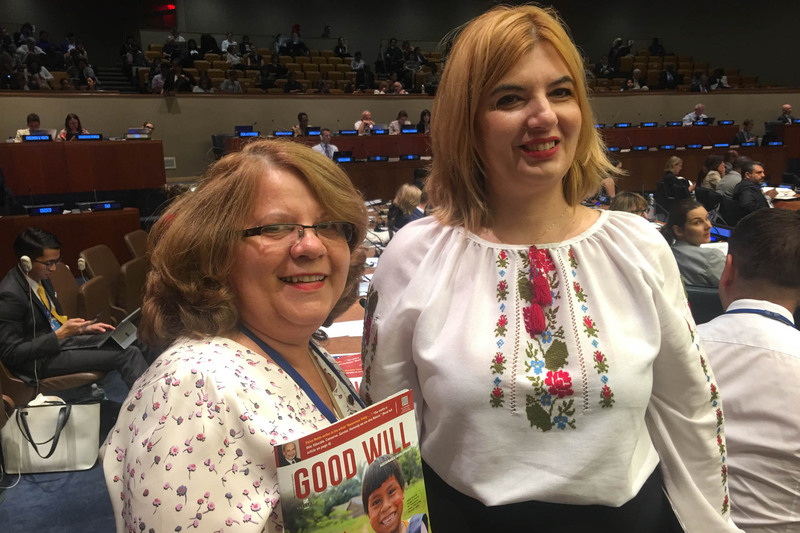 New York, USA ― Musat Denise (right), member of the Romanian delegation. 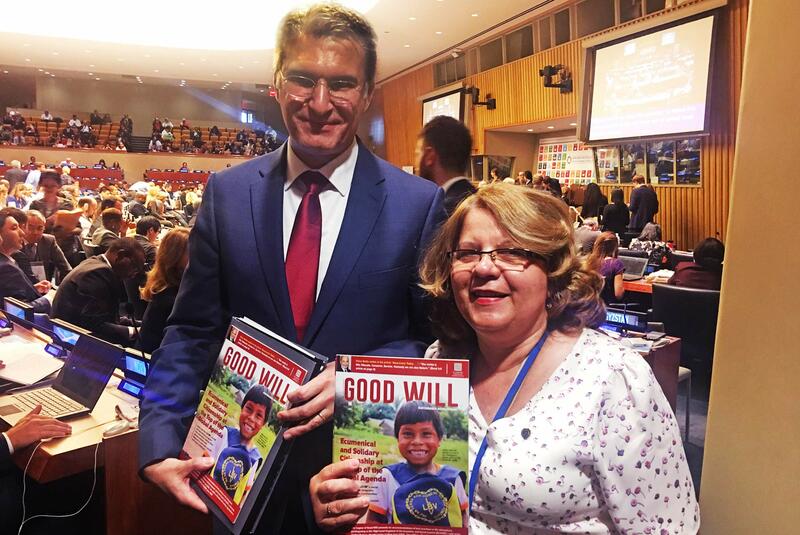 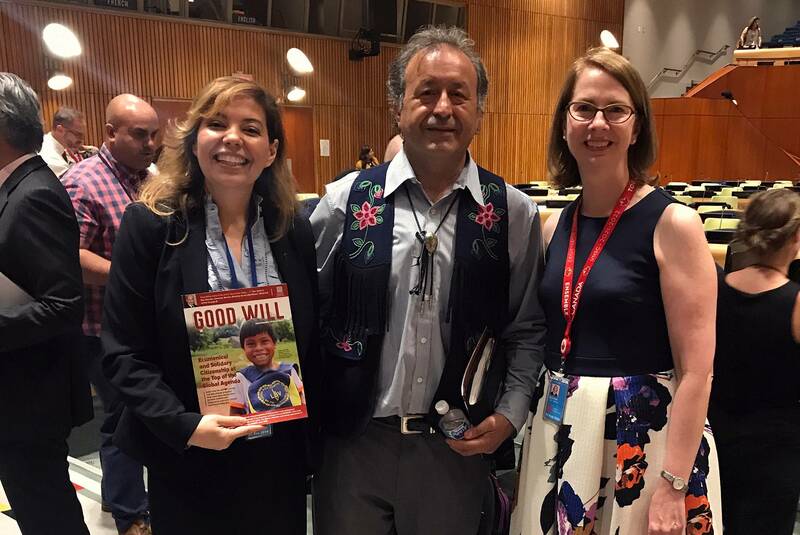 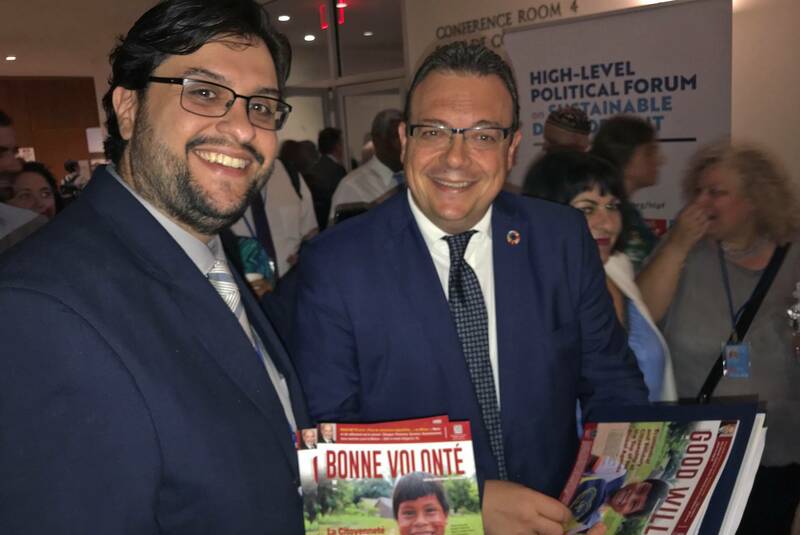 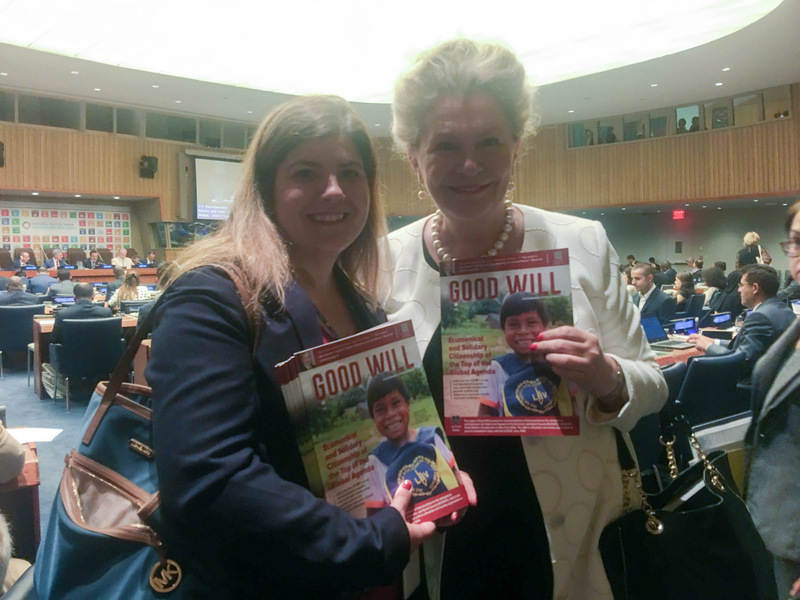 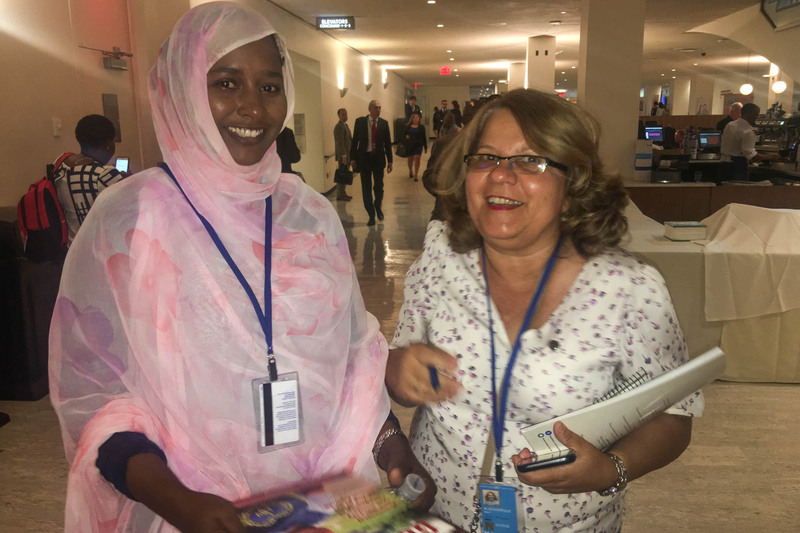 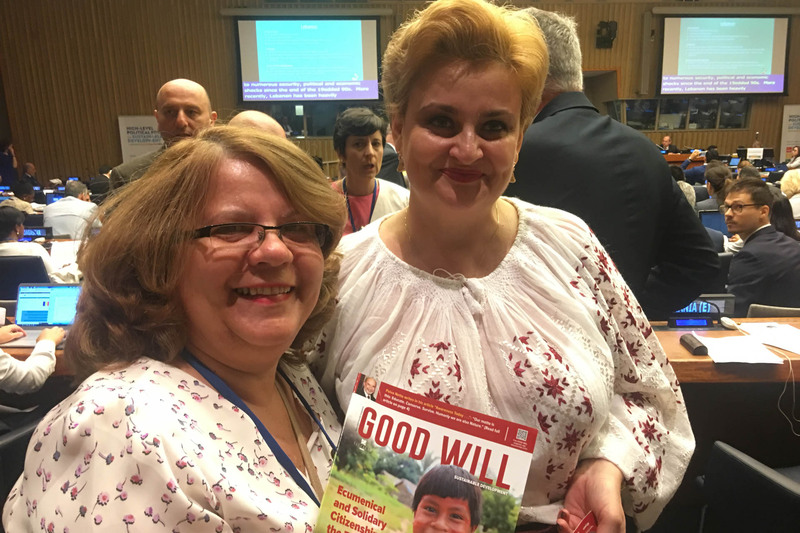 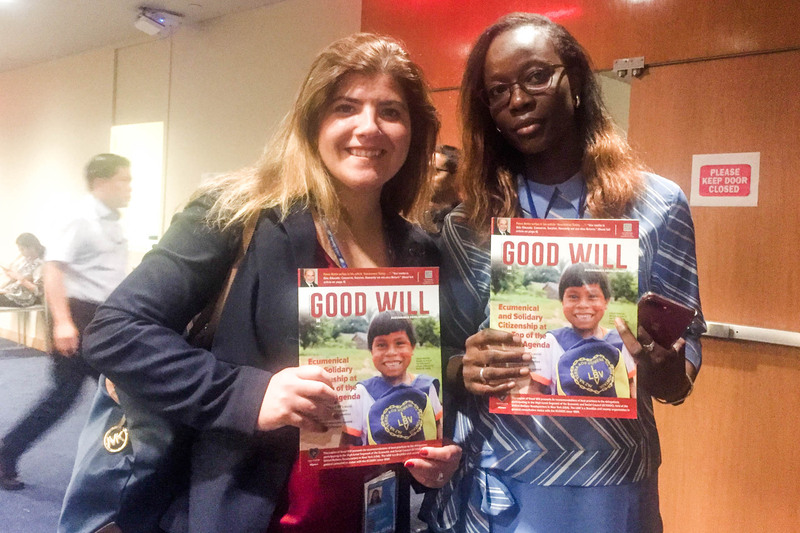 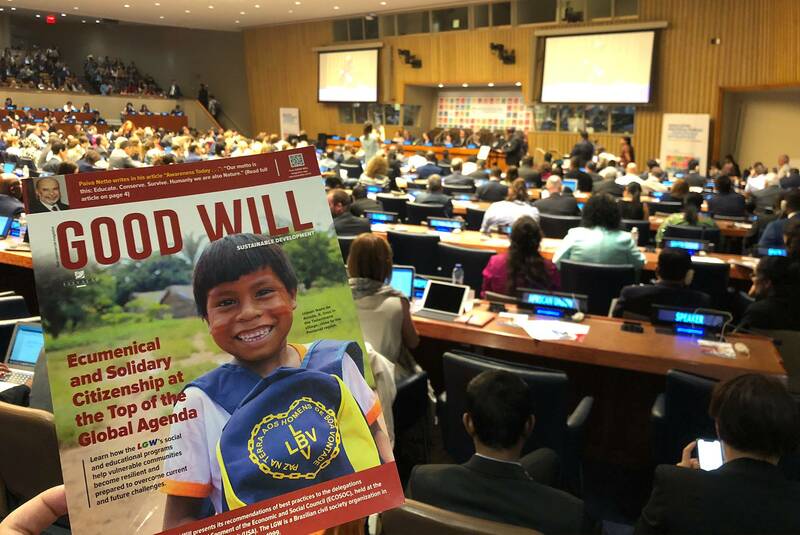 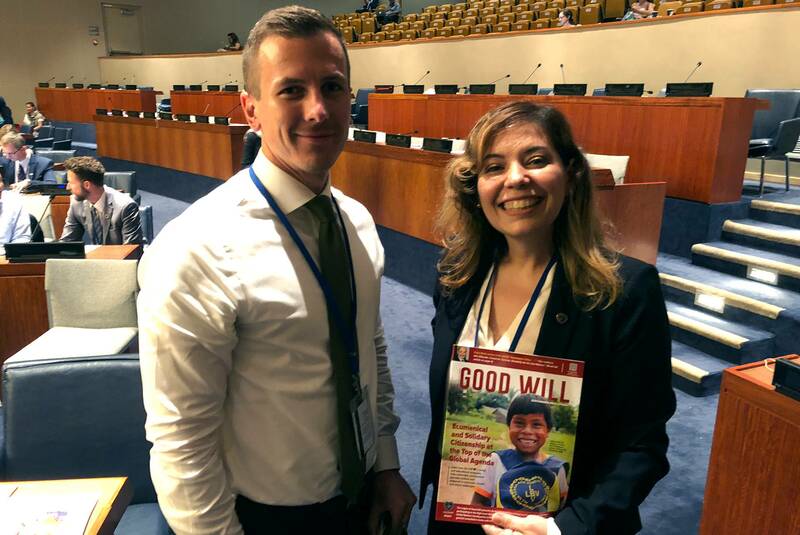 New York, USA ― Present at the ECOSOC High-Level Segment, the LGW presents the GOOD WILL Sustainable Development 2018 magazine, which is available in English, French, Portuguese, and Spanish. 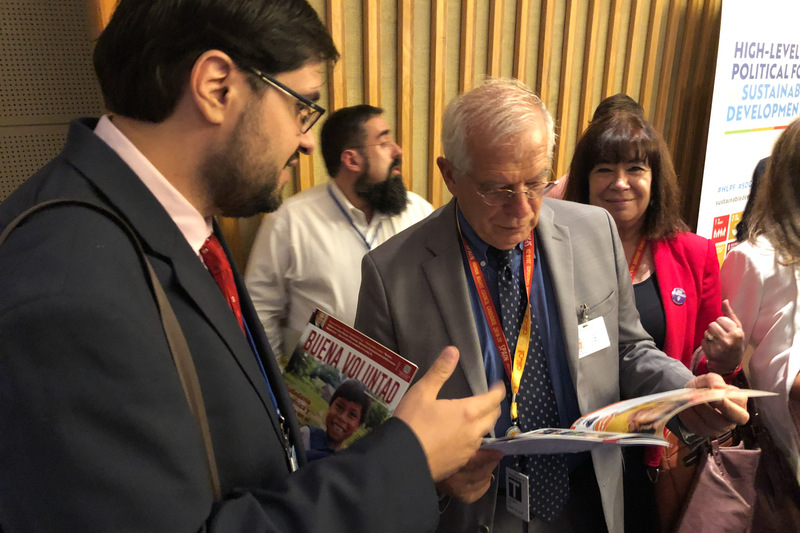 The LGW presents its own recommendations to government delegations, international agencies, authorities and civil society organizations present at this event. 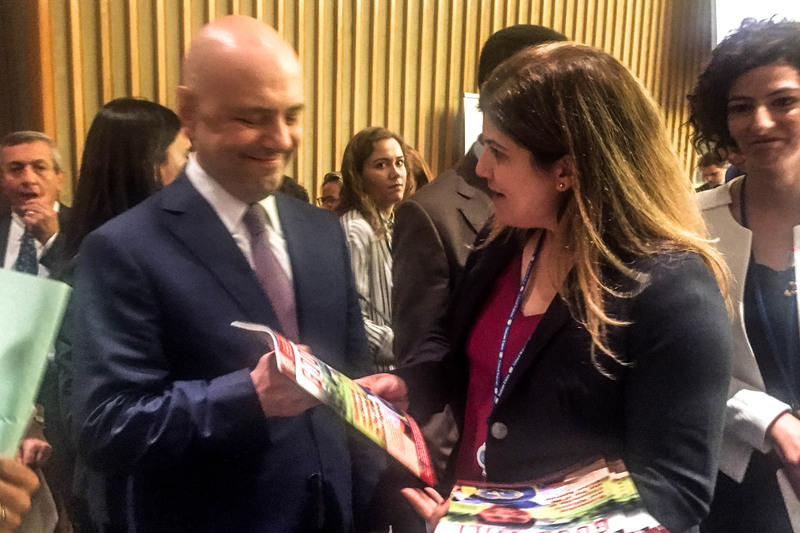 The best practices produced are a result of the efforts of the Institution through the continued collaborative work done across seven countries - Argentina, Bolivia, Brazil, United States, Paraguay, Uruguay and Portugal. 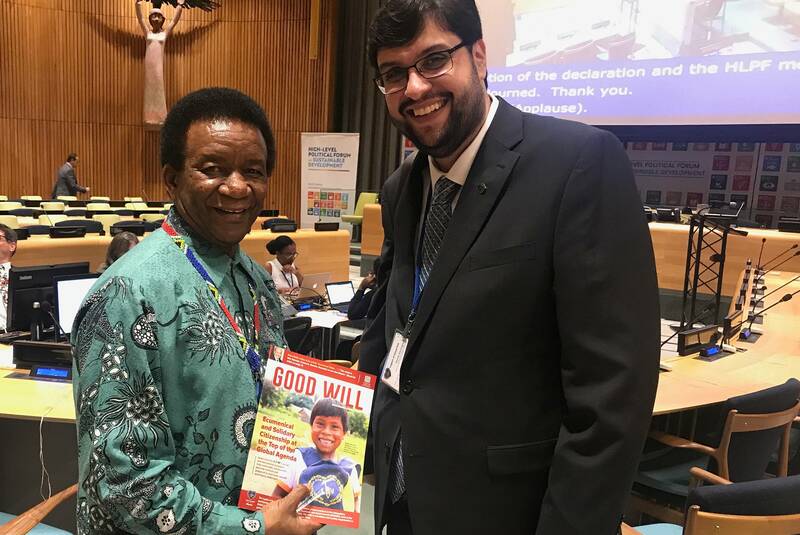 This work reinforces the protective factors of communities and families in situations of dire social vulnerability, with susceptibility to the effects of climate change (floods and droughts) and lack of basic services. 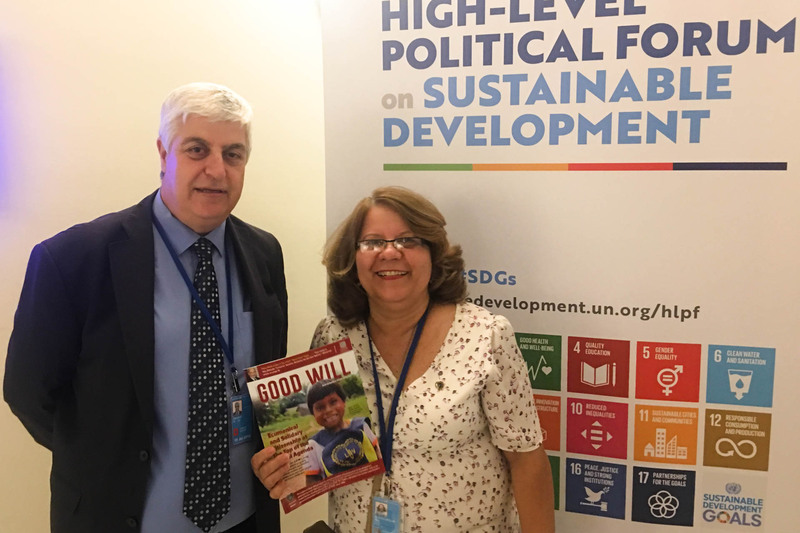 The written recommendations presented by the LGW can be read in full in the 2018 sustainable development issue of GOOD WILL magazine (which can be found in Spanish, French, English and Portuguese). 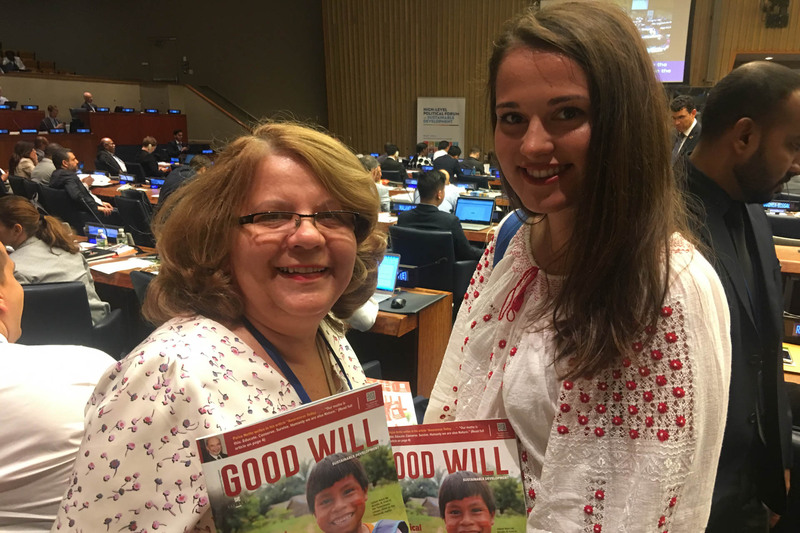 You can also download a digital copy of the magazine through the free app, available for both iOS and Android. 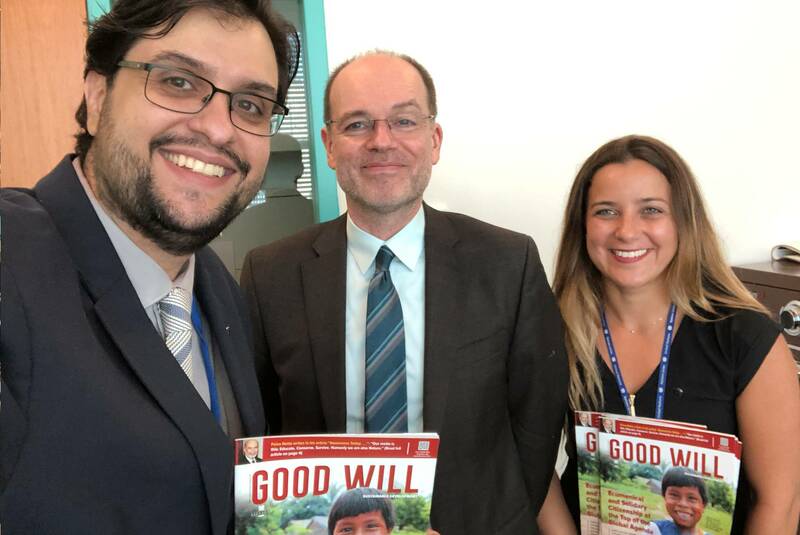 One of the highlights of the publication is the message from the LGW's President, José de Paiva Netto, entitled "Awareness Today ...", in which he points out: "Our motto is this: Educate. 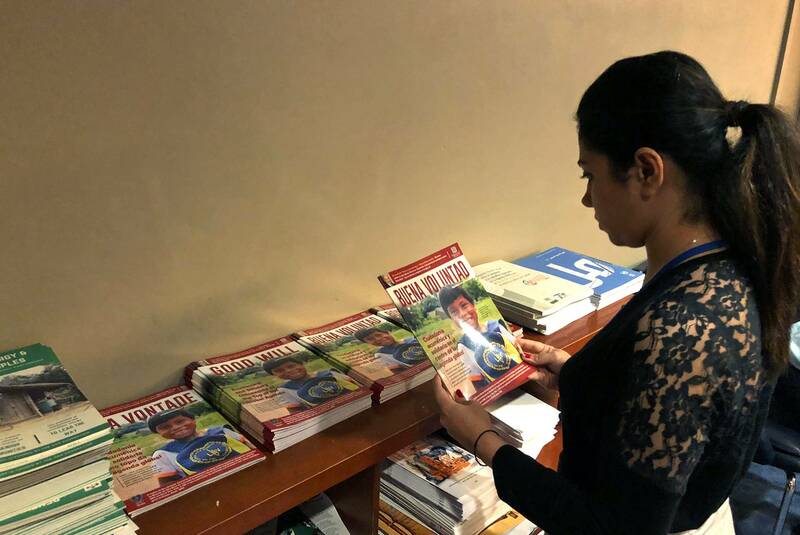 Conserve. 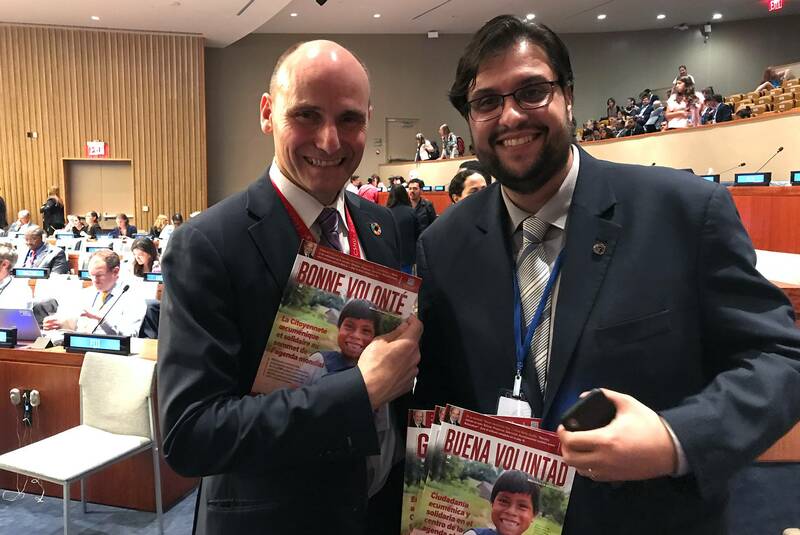 Survive. 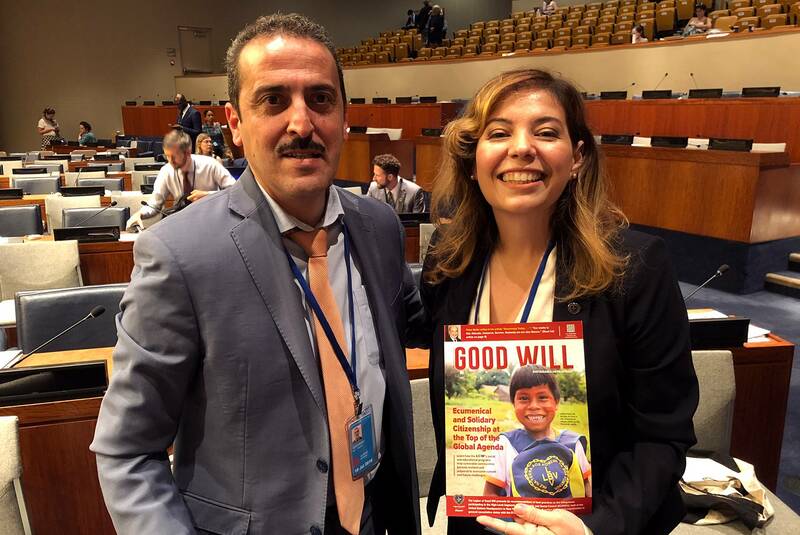 Humanly we are also Nature." 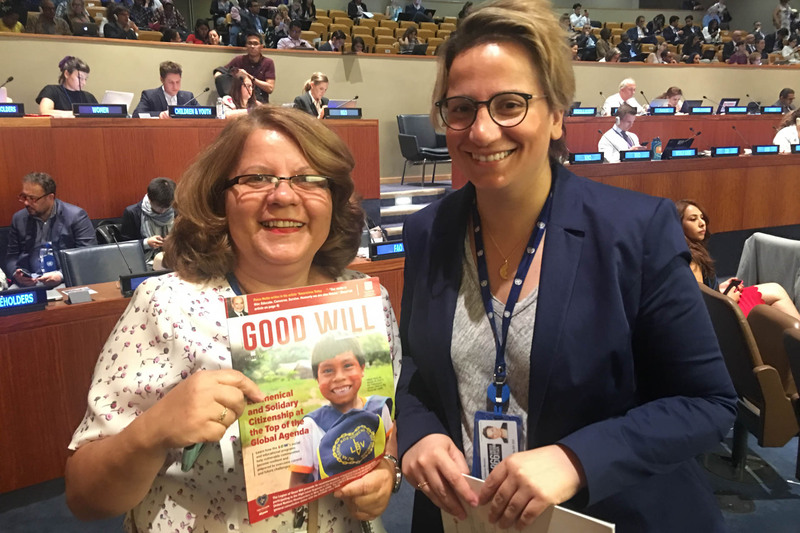 With its participation, the LGW hopes to highlight the Ecumenical and Solidary Citizenship, as an indispensable instrument for achieving a permanent change that will allow a better present and future for all. 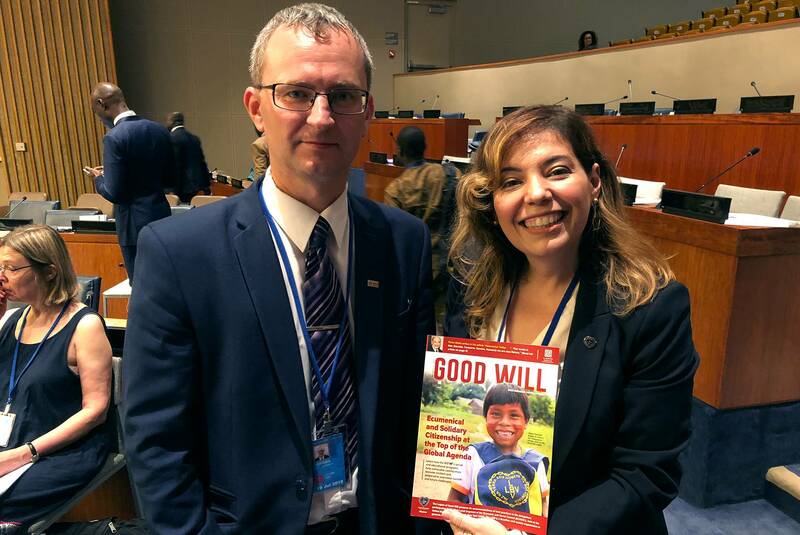 The Legion of Good Will is a civil society organization in general consultative status with the UN/ECOSOC since 1999 and associated with the United Nations Department of Public Information (DPI) since 1994. 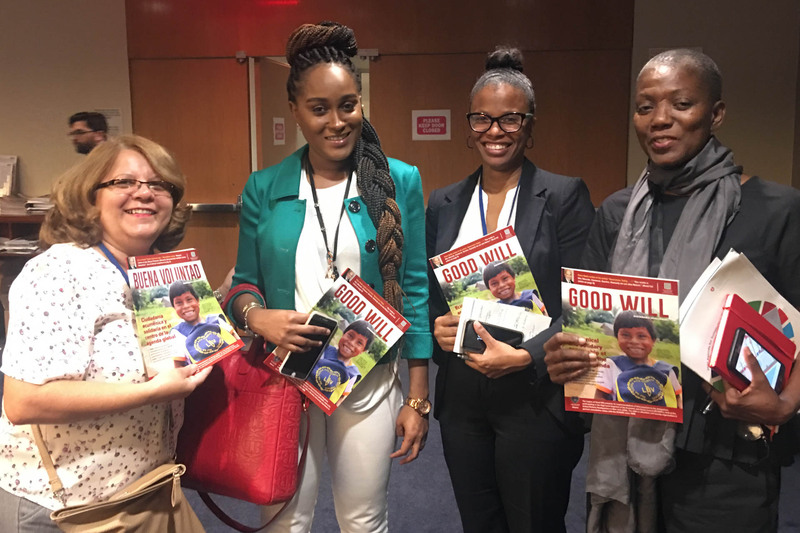 Through this status, the LGW is entitled to observe and contribute to intergovernmental discussions and the improvement of international resolutions of the United Nations.